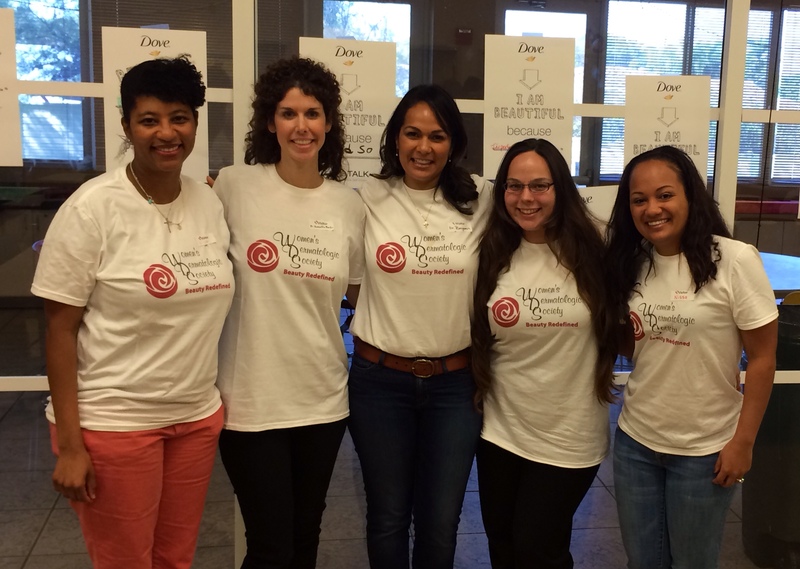 Today I was fortunate to be a part of the Dove Movement for Self-Esteem, where members of the Women's Dermatologic Society can reach out into the community to educate young girls and teens about skin care and promote positive self esteem. We met with young women ages 11-18 and had a discussion about what beauty means to them, how they feel when they see images of what "beauty" is in the media, what they would like the images to project instead, and how they feel about themselves. In a world where we are constantly bombarded with photoshopped images of perfect, often unattainable and unrealistic ideas and images of beauty, it's so important to reinforce to our young women that real beauty is from within, and is made up of thoughts, actions, voices, and attitudes; not a lipstick color or hairstyle. We also talked about skin care and living a healthy lifestyle that includes eating foods rich in vitamins and minerals, sleeping enough hours at night, mindfulness, and exercise. The program's vision is to "create a world where beauty is a source of confidence, not anxiety." Look in the mirror. You are real, and you are beautiful. Hug your sisters, daughters, mothers, friends. Let's encourage and empower each other as strong, powerful, healthy females. That's true beauty! A rainbow of light is made of many colors. Out of ROYGBIV, blue light is by far my favorite. Blue light is key to photodynamic therapy (PDT): a specialized light treatment that treats actinic keratoses (pre-skin cancers), acne, and rejuvinates the skin. How does this work? First, a chemical called levulan is applied to the skin (most commonly the face, but neck, chest, arms, and hands can also be treated) in the office. This stays on the skin for about an hour. Then a U-shaped light, specific for blue light is placed so that it shines on the skin for around 16 minutes. The levulan is activated by this light, and results in destruction of abnormal cells. Because the levulan is activated by light, sunlight must be avoided for 48-72 hours after treatment. Redness and some crusting are common after treatment. Once that subsides, the skin is smoother and often younger appearing. Acne may be treated with the blue light alone, as well, but it may not be quite as effective as when levulan is added. A series of treatments are required. The acne may worsen initially after the first treatment and then improve. It's a great option for those who can't tolerate conventional treatments with oral antibiotics, oral contraceptives, and topical medications. This treatment can also be performed using intense pulsed light (IPL) rather than blue light. Although an off-label use, it can help "bump up" the improvement seen in fine lines, brown spots, and red spots seen after an IPL treatment. Multiple treatments are still needed. 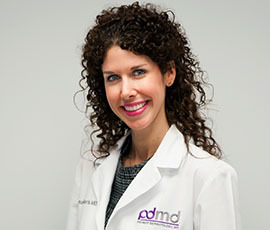 For more information, come in for a consultation with Dr. Bilu Martin at Premier Dermatology, MD.